The Children’s Home by Charles Lambert: Adult fairy tale, horror story or dystopian fiction? Back in 2014 I fell in love with Charles Lambert’s autobiographical novel, With a Zero at its Heart. Made up of 24 themed chapters, each of which has 10 paragraphs of 120 words, it was a triumph of disciplined structure, much of it beautifully written. Naturally when I heard about his new novel I was interested to see how he’d chosen to follow it. Nothing conventional seemed likely and The Children’s Home certainly can’t be accused of that. 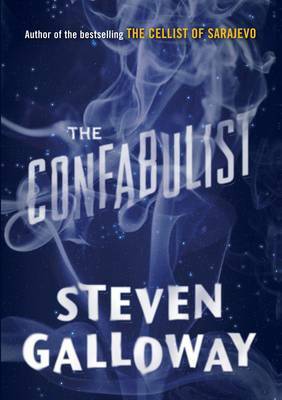 Impossible to fit it neatly into a genre – dystopian fiction, horror story, adult fairy story – it’s one of the most unusual books I’ve read and I’m still puzzling over it. Morgan Fletcher lives behind a high wall on a large estate. Horribly disfigured, he was once a beautiful young man now hiding himself from the flinching gaze of the outside world. His housekeeper, Engel, appeared one day, apparently knowing all about him, sent – he assumes – by his sister who takes care of the family business doing Morgan knows not what. One day a child arrives, then another, and another. Soon the house is full of children and babies all of whom are accepting of Morgan’s disfigurement. Doctor Crane is brought in to attend the children, later becoming Morgan’s friend. The house is stuffed with treasures collected by Morgan’s grandfather which the children and Crane happily sift through. When they find a wax model of a pregnant woman, the children seem entranced and are later found keening in a circle around it. All seems well – if a little strange – until government agents appear, taking away one of the children with them when they leave. Moira must be found, and David, who has become the children’s leader, knows where to look insisting that Morgan must come with him. What Morgan discovers shocks him utterly but leads to a form of liberation for all. That little summary barely does justice to the strangeness of some of the imaginative flights Lambert takes in this novella. It’s a book in which there’s a great deal about motherhood and children, and the way in which children are treated by society – there are echoes of the Second World War with mentions of children taken to camps in the East and gassed. There’s also the matter of Morgan’s complicity in whatever it is that his sister oversees at the factory – something far worse than he (or we) could ever have imagined but he has always known that it was to do with ‘power’ and all that implies. All this is expressed in plain, straightforward language, a world away from the lyrical beauty of With a Zero at its Heart. It’s a fascinating book, not one which lends itself to easy analysis. I think I’ll be scratching my head over it for some time to come. This entry was posted in Reviews and tagged Aardvark Bureau, Adult fairy tale, Charles Lambert, Horror fiction, The Children's Home, With a Zero at its Heart on 9 May 2016 by Susan Osborne. 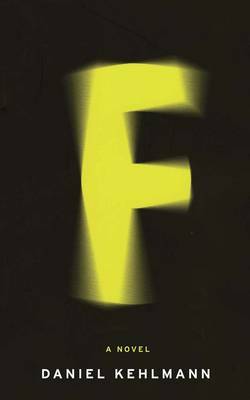 My fourth and final selection begins with an award-winning novel. After differing with both the Baileys and the Man Booker judges I’ve finally found a set I can agree with: the Jerwood Fiction Uncovered Prize. Of course, they’d made their minds up in June and I only got around to reading Jo Mazelis’ utterly engrossing Significance in October. There’s a crime but this isn’t a crime novel – it’s a study in human nature and the way we interact and observe each other. Mazelis leads us down a multitude of cul-de-sacs and wrong turnings, filling in the back stories of each of her characters no matter how peripheral they might appear. By showing events from so many points of view, she draws her readers into a rich tapestry of interpretation and misinterpretation. A gripping first novel, thoroughly deserving of its prize. October’s other treat was Zimbawean author Petina Gappah’s The Book of Memory. Within the first brief paragraph, Gappah manages to hook you with both a grisly death and the announcement that Memory, our narrator, was sold to a strange man by her parents. She’s now on death row for the murder of Lloyd, the white man she went to live with when she was nine years old. Gappah teases out the threads of Memory’s past, slowly revealing her story, warning us that ‘It’s hard for the truth to emerge clearly from a twenty-year fog of distant memory’ then delivering a devastating denouement. A multitude of well-aimed barbs are shot at modern Zimbabwe, all served up with a helping of acerbic humour in the form of prison banter and Memory’s acidic wit. We’re all over familiar with ‘dazzling debuts’, ‘stunning achievements’ and the like so that when a book comes along that is truly original, absolutely dazzling, those descriptions ring hollow. Sara Baume’s Spill Simmer Falter Wither comes into that category for me and two sets of literary judges agreed: it’s on the Costa First Novel shortlist and it won the Rooney Prize for Irish literature. It’s the story of fifty-seven-year-old Ray who on one of his weekly shopping trips spots a notice in the window of the local junk shop showing a dog as ugly as he thinks himself. Ray claims One Eye from the dog pound and soon the two are inseparable. Over the course of a year Ray tell his sad story to the only friend he’s ever had. As its title suggests, Baume’s novel is told in wonderfully poetic, sometimes musical language. 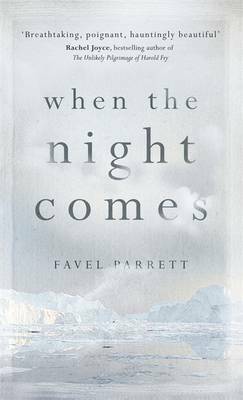 She paints vividly gorgeous word pictures of the natural world, weaving observations of the changing seasons through Ray’s narrative. It’s the saddest of stories but without a hint of sentimentality. My final choice is entirely different. Way back in the mid-‘90s, Jonathan Coe published What a Carve Up!, a wickedly funny satire on Thatcherism in which the Winshaw family had their fingers in a multitude of nasty pies. Twenty years later and they’re back. 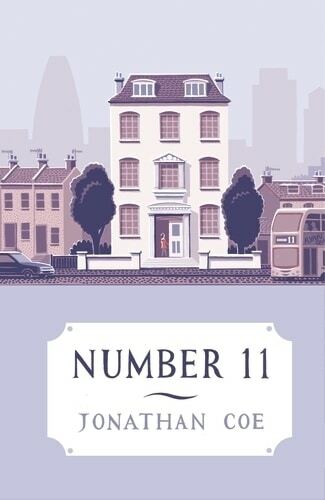 Beginning in 2003, Number 11 follows ten-year-old friends Rachel and Alison over a decade during which many of the roads they travel will lead back to the nefarious shenanigans of the Winshaws. Number 11 bears several familiar Coe trademarks: intricate plotting, comic misunderstanding and arcane film references. It’s a very funny novel but, as with all good satire, its subject is deadly serious: the ever more gaping divide between the haves and the have-nots. Honourable mentions to Margaret Atwood’s The Heart Goes Last, Jo Bloom’s Ridley Road, Scarlett Thomas’ The Seed Collectors and Laura Barnett’s The Versions of Us. And if I had to choose one? Impossible as ever – last year it was a three-way between Shotgun Lovesongs, With a Zero at its Heart and The Miniaturist. This year looks like a four-way between Weathering, A God in Ruins, Spill, Simmer, Falter Wither and The Mountain Can Wait. That’s it for my reading year highlights. What about you? What are your 2015 favourites? This entry was posted in Random thoughts, Reviews and tagged Books of the Year 2015, Charles Lambert, Jessie Burton, Jo Bloom, Jo Mazelis, Jonathan Coe, Laura Barnett, Margaret Atwood, Nickolas Butler, Number 11, Petina Gappah, Ridley Raod, Sara Baume, Scarlett Thomas, Shotgun Lovesongs, Significance, Spill Simmer Falter Wither, The Book of Memory, The Heart Goes Last, The Miniaturist, The Seed Collectors, The Versions of Us, With a Zero at its Heart on 14 December 2015 by Susan Osborne. Looking back over the year for these three posts it seems that many of my favourite reads were crammed into the first two months of the year. March, however, saw only one, Shot gun Lovesongs, but that may well turn out to be my book of the year. 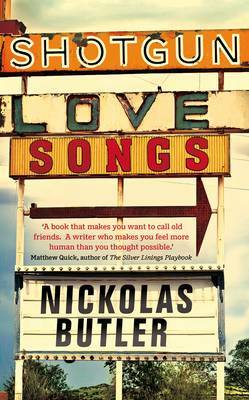 Nickolas Butler’s American smalltown gem is a gorgeous, tender novel which retains enough grittiness to steer well clear of the sentimental while wringing your heart. I hope there’ll be another Butler on the horizon soon. After the remarkable Burnt Shadows I had been looking forward to April’s A God in Every Stone by Kamila Shamsie as soon as I spotted it in the publishing schedules and it didn’t disappoint. 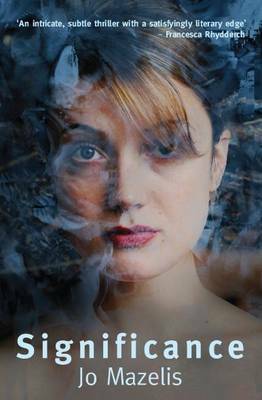 Shamsie takes complex universal themes and humanises them through the lives, loves and passions of her characters. It’s a towering achievement as is Look Who’s Back in an entirely different way. Timur Vermes’ very funny satire sees Hitler waking up with a terrible headache in August 2011, more than a little bemused but soon all too plausibly back in the frame. Satire can go horribly wrong but Vermes is right on the button. Not surprisingly, it caused a bit of a stir in Germany when it was published, storming up the bestseller charts and staying there for seventy weeks. Having started this with a prime candidate for my book of the year, I spotted another in May’s posts. 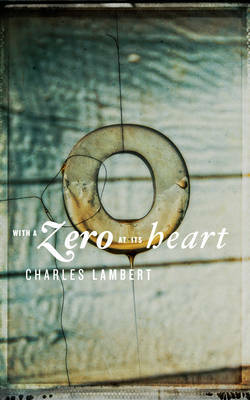 With its unusual thematic structure Charles Lambert’s With A Zero at its Heart could have been too tricksy for its own good but instead it turned out to be one of the finest books I’ve read this year. Its beauty lies in Lambert’s language – his skewering of a particular sentiment with a pithy phrase, his evocation of an experience in a few striking words. Also in May was Louisa Young’s sequel to the heartrending My Dear I Wanted to Tell You – The Heroes’ Welcome. Young’s sympathetic characterisation draws you immediately into this powerful novel which looks at the aftermath of war, deftly avoiding all sentimentality. You don’t have to have read My Dear I Wanted to Tell You to enjoy The Heroes’ Welcome but you’d be missing a treat if you didn’t. Nothing in June or July but in August I was reminded of my bookselling days by Andy Miller who I’d worked with briefly at Waterstone’s head office many years ago when the apostrophe was present and correct. 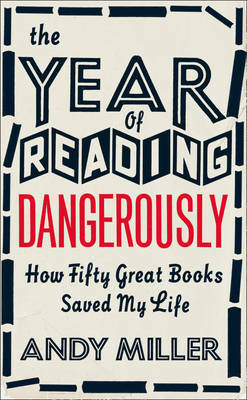 The Year of Reading Dangerously in which Andy gets his reading mojo back is touching, honest and very funny indeed. Lots of sniggering in this house, and not just me. You might think ‘she would say that wouldn’t she’ but if Twitter’s anything to go by Andy seems to be having a lot of success helping people rediscover their inner reader. I’m going to leave you with another August title: The Miniaturist. Might as well get all my book of the year contenders into one post. Set in seventeenth-century Amsterdam, it was inspired by. Petronella Oortman’s cabinet house in the Rijksmuseum. I’m sure you can’t have failed to notice all the brouhaha around it but believe me, it’s justified. It’s a love story, a mystery, a portrait of a great city in which greed, betrayal and corruption seethe beneath a pious Calvinist surface – altogether a very fine book indeed. I’ll leave you with that. Third post to follow soon and if you missed the first you can catch up here. This entry was posted in Random thoughts, Reviews and tagged A God in Every Stone, Andy Miller, Books of the Year 2014, Charles Lambert, Jessie Burton, Kamila Shamsie, Look Who's Back, Louisa Young, Nickolas Butler, Shotgun Lovesongs, The Heroes's Welcome, The Miniaturist, The Year of Reading Dangerously, Timur Vermes, With a Zero at its Heart on 3 December 2014 by Susan Osborne.